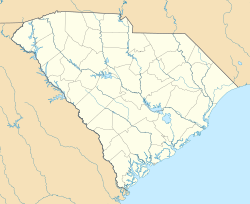 Greenville (/ˈɡriːnvɪl/; locally /ˈɡriːnvəl/) is the lairgest ceety in an the seat o Greenville Coonty, Sooth Carolina, United States. ↑ Carolina, South (January 1, 1839). "The Statutes at Large of South Carolina: Acts from 1814 to 1838, with an appendix". A.S. Johnston. Retrieved April 12, 2017 – via Google Books. ↑ "US Board on Geographic Names". United States Geological Survey. 2007-10-25. Retrieved October 1, 2016. ↑ "Find a County". National Association of Counties. Archived frae the oreeginal on May 31, 2011. Retrieved June 7, 2011. This page wis last eeditit on 2 November 2017, at 01:26.